One of the great things about being a Realtor is the connection you make with the community. You become more involved in participating in causes and events in the local district you work and live in. Not only does it connect you to the people you help and serve. It also serves to show clients new and existing how dedicated and willing you are to do your fair share of service for the benefit of others and satisfying personally. I had the privilege today to attend and participate in the National Down Syndrome Tampa Bay Buddy Walk held at Largo Central Park. An event which is held every year to support this organization. My personal involvement began 2 years ago with little Kaylee Banks who was born with Down Syndrome and has endured countless health issues and health challenges associated with her genetic disorder. She has me amazed with how strong and determined she is to not let her disabilities limit her success in life. She’s definitely a fighter and has been since the day she was born. Her message to many with what she has had to go through in life is to not give up when the odds are stacked against you. To do your best and keep trying until you accomplish the goal and task you set for yourself. To not let criticism or other peoples opinions about you make you feel less capable of achieving your goals and dreams. It’s this little girl Kaylee Banks who continues to amaze me with all the milestones in her life and her story should serve to remind people that life is too short to second guess or hesitate to not venture out of their comfort zones in order to achieve success in their lives. I have learned many things since knowing Kaylee that many people take for-granted. I give praise and credit to the families who are continuously giving of their time and love to their children like Kaylee as tough as it can be. Today was a celebration of success for the children and such an enriching experience to be a part of. 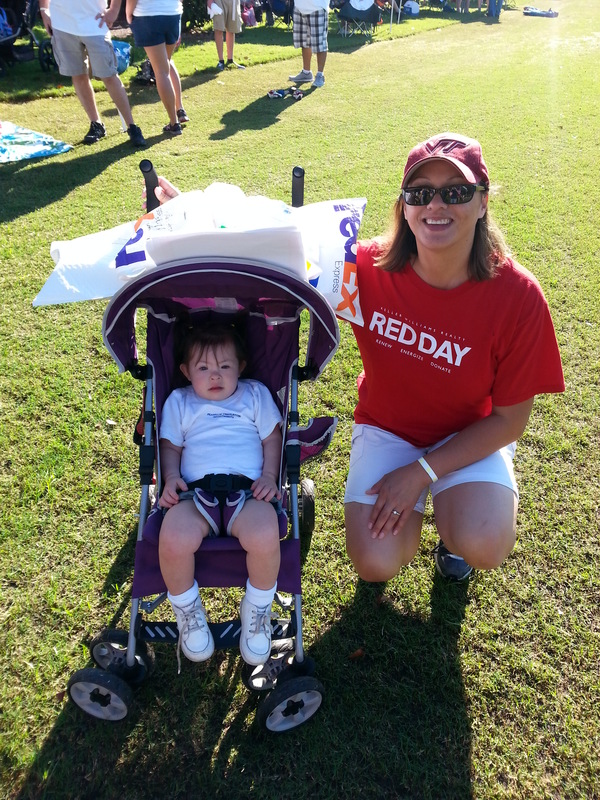 I look forward to supporting this organization in the future and becoming a regular participant in the buddy walk. Thank you Kaylee for opening the eyes and minds and hearts of so many people in your life.